We have given a lot of editorial space over the last few days to covering the changes to the sign-up bonus rules on the UK personal American Express cards. Even if you no longer qualify for a bonus on any of the personal UK cards, there IS one generous bonus which you may well be able to get. 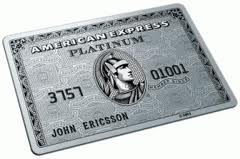 American Express is currently offering 30,000 bonus Membership Rewards points when you apply for the American Express Platinum International Currency Card. You will get the sign-up bonus even if you currently hold a Gold, Platinum or any other Membership Rewards-enrolled UK Amex card as this operates via a different Membership Rewards scheme. I need to be clear up front: the rules of the International Currency Card say that you won’t get the bonus if you have another Membership Rewards card, or have had one in the last six months. However, in my experience and that of many other HFP readers, this ONLY applies to the same national MR scheme. The ICC cards operate via a different Membership Rewards scheme to the UK cards and so you will almost certainly get the bonus. The fact that you must be an existing Amex cardholder to apply for an ICC card means that this must logically be the case – because otherwise very few people would qualify for the bonus. What is an Amex International Currency Card? American Express issues two cards for anyone globally (except residents of the US or Singapore) who would prefer to bank in US$ or Euros. These cards are known as International Currency Cards, with the individual cards known as the International Dollar Card (IDC) and International Euro Card (IEC). They are available in Green, Gold and Platinum versions. The cards are run from Brighton which is very convenient if you have any issues. There is no sign-up bonus for the Gold or Green card. However, the Platinum International Currency Card currently offers a sign-up bonus of 30,000 Membership Rewards points. Full details can be found here. 30,000 Membership Rewards points does NOT get you 30,000 Avios. The International Currency Cards have their own separate Membership Rewards programme. The conversion rate to Avios is 3:2 so your 30,000 point bonus is only worth 20,000 Avios or Virgin miles. I look at this in more detail below. There is an annual fee of €550 / $550. I assume that this is refundable pro-rata if you cancel, as all other global Amex cards I know work this way. Some Membership Rewards partners transfer 1:1 out of the IDC / IEC scheme – see below. There are also partners such as Malaysia Airlines and Jumeirah which are not in the UK MR scheme. You can transfer your UK Membership Rewards balance to your new IDC or IEC Membership Rewards account. Your balance will be increased by the current exchange rate, so your balance is boosted by 17% (Euro card) or 32% (Dollar card). In most cases, however, this is not worth it due to the poorer transfer rate from the IDC/IEC Membership Rewards scheme. You can transfer your International Currency Card Membership Rewards balance to your UK Membership Rewards account. Your balance will be reduced by the current exchange rate. This means that your 30,000 points bonus is worth roughly 26,000 UK points if you take out a Euro card and 23,000 points if you take out the Dollar card. To trigger the 30,000 bonus Membership Rewards points, you need to spend €5,000 (on the International Euro Card) or $5,000 (on the International Dollar Card) within three months. If you do this spending in the UK, you will incur a 3% foreign exchange fee. You will also incur fees when you pay your statement, depending on what your bank charges to send funds in € or $. You CANNOT pay your bill by direct debit – it MUST be a bank transfer. The $ card requires payment to a Standard Chartered bank account in New York, for example – HSBC lets me pay this from my current account but obviously the FX rate is not the best. If you are in a position to charge €5,000 (on the Euro card) or $5,000 (on the Dollar card) in local currency then this is a far better deal. This will be very difficult for most of us, unfortunately. Be very clear – if you make the qualifying spend in Sterling and pay the 3% FX fee, as your card will be operating in Euro or Dollars, it will wipe out much of the value of the sign-up bonus. How does the Membership Rewards scheme work? Here is the Membership Rewards online catalogue for the IDC Amex cards. This is definitely not something for beginners. That said, if you are can spend €5,000 or $5,000 in local currency to trigger the bonus then it is worth a closer look. You can apply via the International Currency Cards website here. If I now get the International card, will my year Hilton/Marriott membership reset to give me a further 12 months? Or will my original year end in June and I will only get a further year if I am still holding the International card in June? With the ICC platinum card, in order to trigger the sign up bonus multiple times would you have to cancel, wait 6 months and switch to gold before going back to plat again like the UK platinum card or can you re open again with platinum? With ICC you’d need 6 months without an ICC card. However, you need to realise that it is VERY rare to get a sign-up bonus on these cards. I hadn’t seen one for 3 years or so until this current Plat bonus launched. Plus the sign-up process can be quite a hassle – took about a month when I got it a few years ago (although did get some bonus MR to make up for that!). Lots of paperwork, not just a 2 sec job like the UK ones. If you transfer out to a US AMEX account, I assume there is no point devaluation? Round numbers 100k MR become 130k IDC MR become 86.666k Avios ilo 100k or 130k bonvoy ilo 150k so c14% loss but keep MR transferable and you can close your UK account. If you spend lots of time in the USA then even better. Is the income requirement for an individual only or is their a household amount too? I don’t hit it alone sadly but have family in Greece who could easily rack up the spend for me without incurring the FX fee! One point, you actually can pay these cards off by direct debit if you have a currency account with an appropriate bank. I have both a Euro and a dollar card and both are settled by direct debit without issue. Obviously you need to have enough future liabilities in Euro or Dollar to justify maintaining the accounts. Is it possible to use Transferwise to pay off the card? I tried a couple of years ago but couldn’t get all the fields I needed to ensure payment went to the right place, but that might have changed. Account Name: AE Services Europe Ltd.
Ah OK – sorry to hear still not an option! So far I’ve ended up relying on Caxton (and Rob I know uses HSBC without a problem). As an experiment, I have sent (EUR version) from Revolut, but as there is no field for the Amex number, at the Amex end it goes to a suspense account. As Brighton CS is so much better than their competitors, a call to them to get it allocated is pretty painless, but I went back to sending from my EUR bank account. I expect Transferwise is the same. Does the dollar ICC card issued in UK check/report credit score in UK or in the US?